Uninque Wallpapers made by Merkal himself. The Wallpaper Gallery displays all our wallpapers on one page easy for use. Don’t you just love how they look at each other. -:) I made a new header from it. I felt the last one was a bit on the large side. 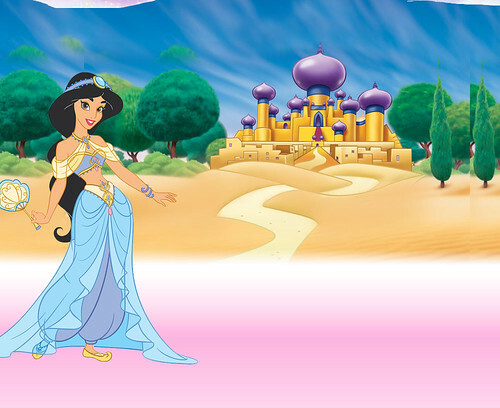 I made this wallpaper from the last page of the booklet My Best Friend is Jasmine (Jenna and her younger brother and sister are hungry and living on the streets in Agrabahâ€”that is, until Jenna becomes best friends with Princess Jasmine! Find out how this streetwise little girl gets invited to live in a princessâ€™s palace in this full-color padded and glittered hardcover storybook. ) Click on the thumbnail for theÂ full versionÂ of 1920 by 1080 pixels then right click on it and choose “Set as Background” This may variy from system to system.